Different people who have walked alongside our family on our journey have enriched us over the years, shaping our thinking and practice as a community. I live in LA where I founded Oasis of The Valley Church and now head up Foundation Rock International Ministries. I have a particular interest in looking at what the Bible really means and use the original Hebrew to work out where we’ve misunderstood what God wants for us. When I come to Balham I usually run teaching classes and do a weekend teaching retreat outside London. What we have in common... I am journeying with BCC in pursuing a greater understanding of who God is and what the future shape of Church could be. 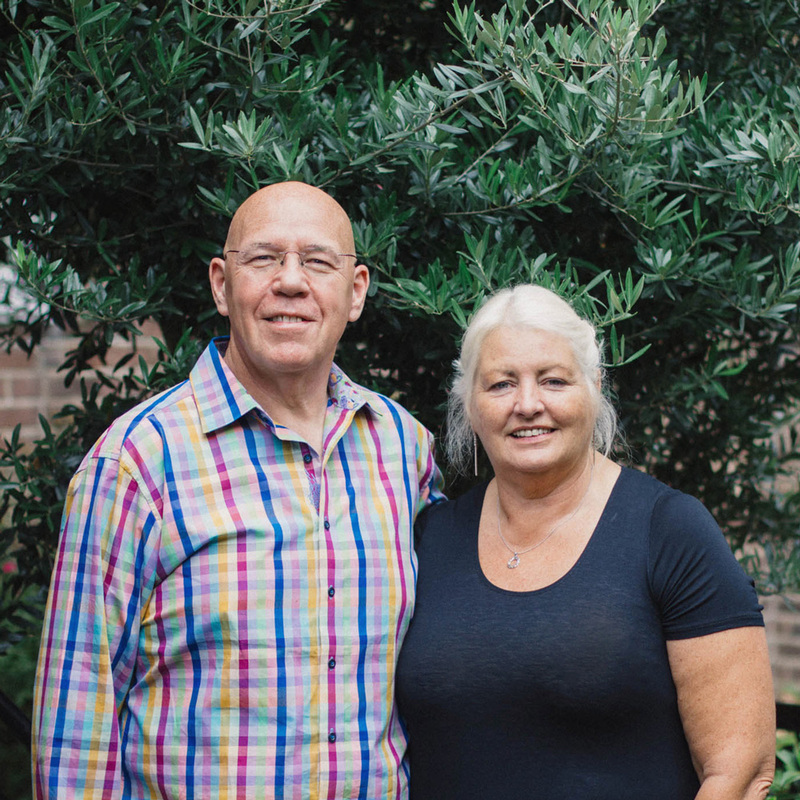 We’ve been Christians for the past 45 years and live near Coventry in the UK where we have a ministry centre. We also run the Together Network, connecting churches around the UK and Gareth also has his own blog where he explores topics around the kingdom of God, biblical covenant and restoration. We’ve been in a relationship with Balham Community Church since 2008 and our motivation is to help BCC shape church around a bigger vision of who God is. What we have in common... We are committed to helping people reimagine church for the future. Our understanding of the purpose of the church has come through the time we were part of Ichthus Christian Fellowship, influenced particularly by Roger Forster in our understanding of the kingdom of God. Through our involvement with Ichthus, we found firm roots for our values in Anabaptist theology, which advocates new life through choosing faith. This motivated us to engage in evangelism and social action in the city, expressing the love of God to everyone. In the mid 1990s we met Ray Simpson who lives on Holy Island in Northumberland. He introduced us to Celtic spirituality and helped us to understand what has shaped the UK church over the past two millennia. Dr Gunter Krallmann and Dr John Shiver helped us connect the history of church revivals with the present. Belonging to the CITIZENS UK alliance helped us to express our faith through engaging in social justice campaigns that affected our city and country. This alliance is the UK’s largest expression of broad based community organising, connecting institutions in local communities to work together to effect social change for the common good. Through engaging in local community action, leaders are developed to engage in affecting public life. Most recently we have drawn on teachings by Baxter Kruger, Francois Du Toit and Richard Rohr who are helping us rethink church through a fresh perspective of how we see God.